Facebook groups will help you reach more people and get higher engagement for free. Have you ever posted something on your Facebook page that you were super proud of, only to get zero interactions from your followers on it? Don’t be too discouraged. There is a reason for this, and it’s not your fault. Facebook pages get almost no organic visibility anymore, thanks to Facebook’s news feed algorithm. Facebook’s algorithm favors posts written by friends or in groups over posts from businesses, which is why starting a Facebook group for your business is quickly becoming one of the best ways to reach potential customers and make sales. The benefit to posting in groups rather than pages is that the posts get ranked higher in the news feed than business page posts, so you get more organic visibility and don’t have to spend money on ads to get seen. Managing a Facebook group will establish credibility and trust for your business. When you create a Facebook group, you become the expert. Couples who join the group will see you running the show, ask you questions, and refer their friends to your group when they need help wedding planning. They will see how amazing you are, get to know you as a person, and trust what you have to say. Then, when the same people need your product or service, you will be the first person they think of to buy from. Every person who joins your group has the potential of becoming a customer. Include the name of your city, state, or region in the name of your group. Include the year in the group name to attract couples who are actively wedding planning. You can change the group name each year as you go. Include the word “wedding” to help couples find the group. Building a new Facebook group will take more work in the beginning and become less time consuming as they grow, but will generally only take a couple hours of your time per week. If you decide to start your own Facebook group, remember that they do take time to grow, but the work you put into it will be worth it in the end. A lot of Pros focus on building your Facebook page, but there’s an important aspect beyond the exterior of your page. Analytics can be a foreign concept to a lot of people who own and run businesses, but they’re an important part of building and bettering your Facebook posts. You can see in-depth information about your top posts, demographics of your followers, and more. Here’s a quick how-to that will help you understand and utilize your analytics! If you’ve never looked at your Facebook page Insights before, you’ll find them located at the top menu bar on your Facebook page. Only page administrators have access to these valuable insights, so visitors to your page will not see your page’s performance. Facebook Insights tracks and reports on a number of metrics and statistics – here’s a breakdown of what each metric means. The Likes menu shows you, fittingly, how many likes your page has. It also gives you more in-depth statistics and also allows you to pick a time period to analyze. The first section of the page has “start” and “end” fields, where you can adjust the time period you would like to measure. Once you select the dates you want, you’ll see the total likes and net likes your page has, and where your likes happened over that time period. Net Likes is a really useful tool for figuring out what gets more followers and what makes you lose followers. If you tried a new posting technique during the month of April, you can gauge exactly how effective it was. If you typically gain 20 followers per month but you gained 50 new followers in April, it’s likely that your strategy worked. But if you lost 7 followers and only gained 2, it might be time to try a new posting strategy. Hint: Our posts about using social media effectively and using images on social media would be a good start. Where Your Page Likes Happened is a tool that gives even more insight into how people liked the page. If Facebook suggested your page on someone’s profile and they liked it because of the suggestion, this chart will show you how many likes that generated. You can also see if someone visited your page, enjoyed what they saw, and then followed through and liked the page. And that’s always a good thing! On April 10, 2009, I launched BridalTweet.com without any social following. At that time, all I had was a BIG idea – to create a more open wedding community where vendors could have complete editorial freedom to write about their businesses and post photos for free. That would lead to a place that engaged couples could turn to for free advice, planning ideas, giveaways, local events and more. Flash forward to five years later, BridalTweet is a thriving community with 18,000 members, 47,000 Twitter followers, 30,000 Facebook fans and 4,000 Pinterest followers! So, how did I do it, and how can this positively impact your business? I attracted the attention of brides and wedding vendors by consistently writing engaging posts on Facebook. I consider Facebook posts to be engaging only if posts deliver helpful information to your fans and if they encourage your fans to ‘Like’ or leave a comment on the content. Posting helpful information will increase your chances of rising to the top of hundreds of newly engaged couples (and their friends’) News Feeds. Becoming influential on Facebook is bound to help your business, too. It will create more opportunities and it will drive referrals for you, and it’s something that anyone can do! But the big challenge lies in engagement. You’re certain that your latest Facebook post would inspire fans to ‘Like’, respond and share, yet there’s been little (or no) response. You keep hitting the refresh button and wondering why no one’s listening. In celebration of BridalTweet’s 5th birthday, here are my 10 ways to get more Facebook fans to help you boost your page’s engagement! Create an attractive Facebook business page. Your page needs to do three main things: give people a reason to become a fan, showcase your work, and link to your website. You can also add the functionality to capture email addresses from your Facebook page to assist in building your lead list. Build your Facebook fan base. Add a Facebook icon linked to your page to all of your marketing materials, including all of your key website pages, your WeddingWire Storefront, and your email signature. You can also send an email to your current or past clients and friends and family inviting them to ‘Like’ your Facebook business page to drive some initial engagement. When was the last time that you updated your Facebook Cover Photo? This image is one of the first things that potential clients see when visiting your Facebook account. It is important to have a great cover image to make a good impression! Stand out with a beautiful and engaging cover photo that expresses the personality of your business. Update your cover photo frequently! A fresh image is engaging. Make it relevant for potential clients seeking services like you but updating based on the season, an image that expresses business personality and matches your logo, or use an image from a recent favorite event (with attribution to the photographer). Always include a photo description with your cover photo and a call to action to visit your Storefront, business website or to contact you directly to learn more about your service with a link to your contact form. Coordinate your cover photo with your profile photo to make it a great visual experience for your visitors and convey a consistent brand message. Not sure how to update your cover image on Facebook? Use the step-by-step guide below. What tips do you have for an eye-catching cover photo? Meghan Ely is the owner of wedding marketing and wedding PR firm OFD Consulting. She is the exclusive Wedding PR Education Expert for WeddingWire and is a highly sought after speaker in the wedding industry. To learn how OFD Consulting can assist you with your wedding marketing and wedding PR, please contact us today. It’s a fact that press will only last as long as you allow it to, so it’s imperative to take the necessary steps to promote accordingly. A press page on your own web site is, quite often, one of the best tools you can use to leverage your recent features but thanks to the popularity of social media, you can take other creative measures as well. As soon as you real wedding feature or other notable press coverage goes live, grab a screen shot of the blog and save it as either a jpg or png file on your computer. If your real wedding is in print, then try to obtain either the page in which it was featured, or the cover itself, keeping in mind that each publication has its own policies for sharing these things. An engaging Facebook Business Page is an essential component to most wedding professionals’ marketing campaigns, but very few people go above and beyond simply writing a post about their press. Consider creating a Facebook photo album dedicated to your real wedding features. Upload either the screen shot or magazine piece and be sure to credit accordingly. As a courtesy, don’t forget to tag the wedding day team who helped the day come together. In a similar vein, create a Pinterest board that is devoted strictly to your press. Simply add the “Pin It” button to the top of your browser, and you’ll be able to add new features seamlessly. Finally, Instagram has continued to grow in popularity, and the good news is that this too can be a platform to share your good news. You’ll just need to visit the page on your smart phone, take a screen shot of the feature, and then share it in a post. Here, it’s not feasible to create a bona fide press page, but you can qualify it with a customized hash tag, that will allow you to keep track of your features with ease. A real wedding feature or press coverage is always a great opportunity to sing the praises of your company and with social media being more prevalent than ever, you have plenty of opportunities to get the word out! In the final part of the Why We #Like Facebook Business Pages series, we will discuss the value in using social media management tools. Catch up part one or two in case you missed them. At WeddingWire, we strongly believe in the power of social media, but understand that it can be difficult to manage and stay up to date. The goal is to make sure you are sharing great content with your fans and followers on a regular basis. You want to keep them updated about your business and show off your personality. Sync your Facebook, Twitter and LinkedIn profiles, making it easy to share across all three accounts at one time. You post once and it can hit all three! Quickly pre-schedule your posts for a future date and time. So if you’re on vacation you can continue posting updates! Easily include web links and upload photos in each post. Monitor your social activity and view the number of comments and likes you receive every time you post. Posting photos from past events, recent industry news, and your latest reviews and client feedback from this tool will help engaged couples get a sense of your business personality and work quality. Additionally, engaging and relevant posts for your audience will generate activity and shares, therefore having your business reach more people and expand your reach. Facebook is a powerful tool to help you represent, grow and manage your business – and it continues to grow! Invest the time to design, create, manage and grow a strong Facebook business page. You will drive engagement within your community, expand your business exposure and develop more connections with potential clients. We #Like to see Wedding Professionals with a great Facebook business page! Did you know that Facebook accounts for one out of every five pageviews online? With 1 billion users and growing, Facebook is not only the top online social networking site—it is also a powerful tool for small businesses. Top keys to maximizing Facebook’s impact is to invest time in designing, developing and managing your business page to ensure you are effectively using the channel to showcase your services and expand your reach, ultimately growing your client base. Still not convinced about the power of Facebook? Every 60 seconds, 136,000 photos are uploaded, 293,000 statuses are updated and 510,000 comments are posted! Every business in the wedding industry should have a Facebook business page! If you have not already created one, visit www.facebook.com/business to get started. The site will give you simple, step-by-step instructions on how to build your page, connect with people, engage your audience and finally, influence friends of fans. The same way that you place value in your own website, your Facebook business page should be another extension of your company. It should be easy for potential customers to learn about your business, whether they find your website or your business page on Facebook. In the past couple years you have likely built a business page on Facebook, which is one of the best marketing decisions you can make. It includes your logo, some basic details and allows you to share updates with your followers. Best of all, it is free (outside of the time spent making updates!) Your business page is a great tool to market your business to users on Facebook. Ensure your page is successful by constantly growing your followers and posting good content. And don’t forget to also cross promote your Facebook page so that you can increase the number of followers or ‘Likes’ you have. It is a good strategy to include a link to your business page on your own website, your newsletters and even your email signatures. The only challenge with the business page is that all of that traffic goes to Facebook. When a customer clicks ‘Like,’ they are liking your business on Facebook. There is nothing wrong about that, but what about getting people to like your own website? Why should all those likes be posted on Facebook? The time has come to take the next step and add the Facebook ‘Like’ button to your own website. Leading sites across the web have started to add the like button to their homepages. Why? Because when people hit the ‘Like’ button they like your homepage and your own url. When that news gets shared back into Facebook, their friends and family will see what they liked. And if those friends and family click on the link it will bring the user back to your own website! You get all the benefit of the likes. 1. Select your Category and Name – You should likely select “Local Business or Place” and then select the category closest to your business type. Enter your name, address, and phone number and click “Get Started.” It is important to enter your name exactly as it appears on your own website as well as WeddingWire so that you maintain consistency. 2. Add a Profile Picture – Click “Upload Picture” at the top of the page and select and image you feel best represents your business. Make sure it will look good even as a reduced thumbnail. We recommend bright colorful images of your past work. 3. Add Information – Use the “Add Information to this Page” option under your profile picture to enter in basic information. The more details about your business the better! 4. Add Content – Okay this one is really important so listen up! Like a profile page, Fan Pages have multiple tabs you can build out. You can devote a full tab to Photos, WeddingWire Reviews, etc. You can add promotions, discussion, and more ways to interact with your past and potential clients. There are also tons of applications you can add to further customize your page, browse them here. 5. Publish! – Click to “Publish this Page” and share it with everyone you know. You can engage with your brides and grooms online in a whole new way. Use Facebook’s functionality to make your page unique by setting a default page for those who haven’t “liked” your business yet, allowing fans to share your posts, photos, and more. It is important to stay up to day with your Facebook page by posting regular content like links to your blog or new reviews on WeddingWire. Be sure to click the “Share” button to share it with friends and those you are working with or have worked with in the past. Here are some more tips from the folks at Facebook. 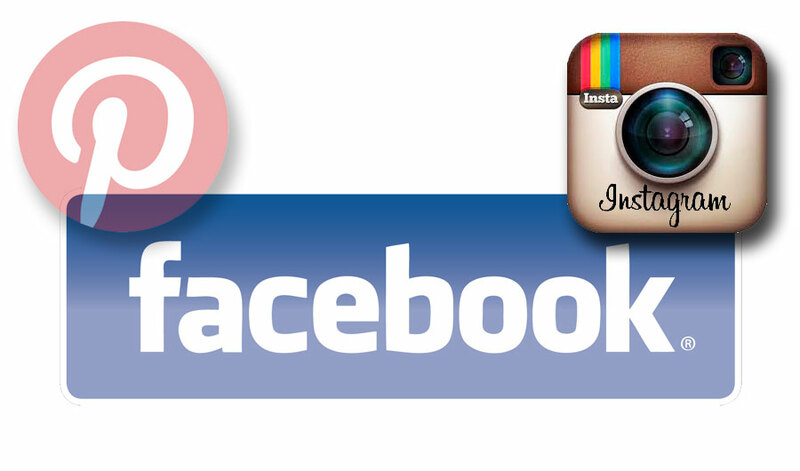 Share your fan pages with us in the comments! There are 1.8 million brides on Facebook. How do we know? Because they all mark their Relationship Status as “engaged” so they are easy to target. WeddingWire makes it easy for engaged couples to find their perfect Wedding Pros through our Facebook app. Brides can chat with friends and family online while searching for your business on the largest social wedding database. Check it out, type WeddingWire in the top search bar on Facebook or just click here. As we all know, social networking is increasingly important for your business. 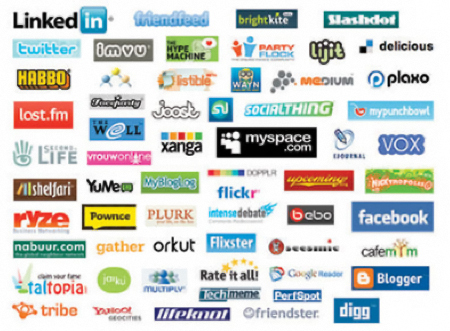 Check the list below for the top sites to establish your presence if you haven’t already. Google Profiles – boost your ranking in Google search results. Twitter – build your relationship with past and potential clients as well as network with colleagues and other Wedding Pros.